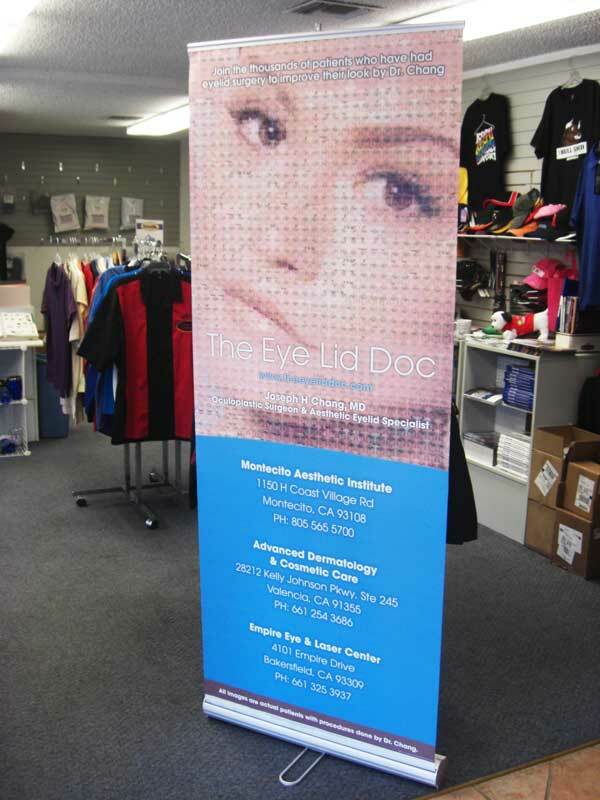 Our retractable stand are the perfect mix of quality, durability, and ease of use. 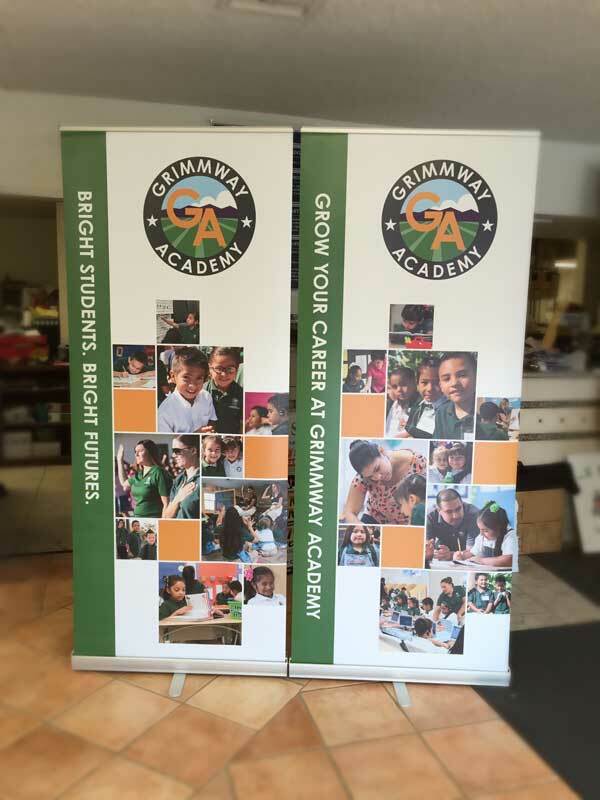 Graphic install is made easy with a clamping top bard and a double sided tape on the lead. 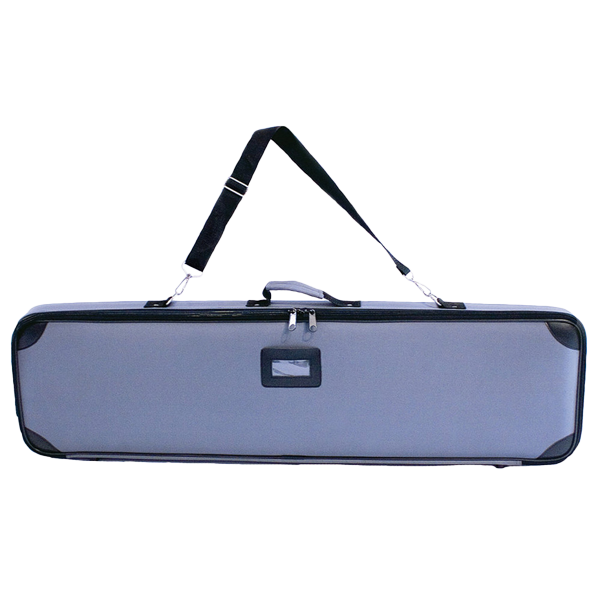 A travel bag is included with every order and the stand is backed by a lifetime warranty. 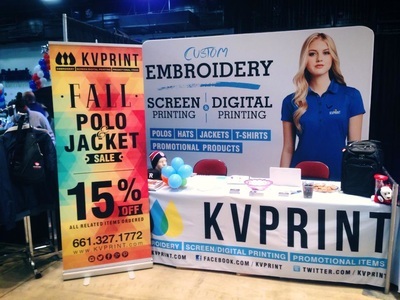 We have everything you need for Trade Shows! 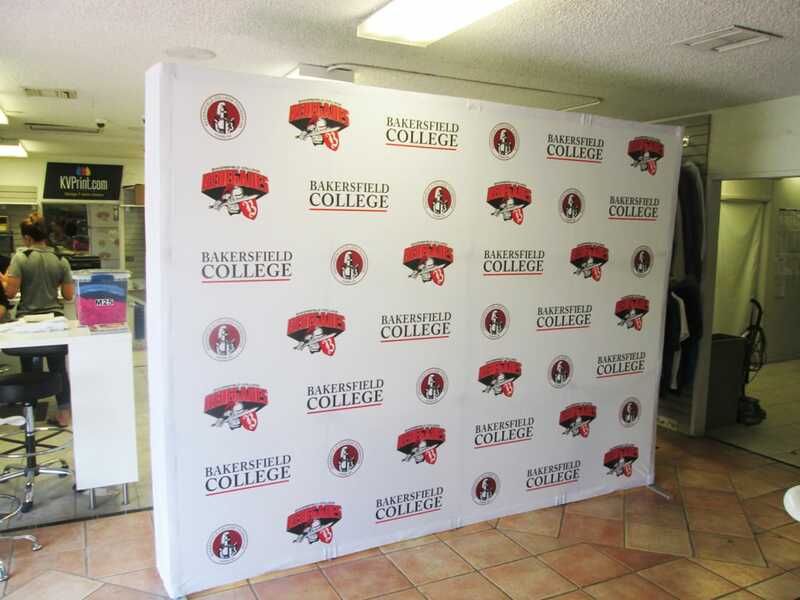 Our 10 foot Event Canopy is printed and sewn Weather Resistant Tent Polyester. Print your brand message on each of the four peaks and valance panels. 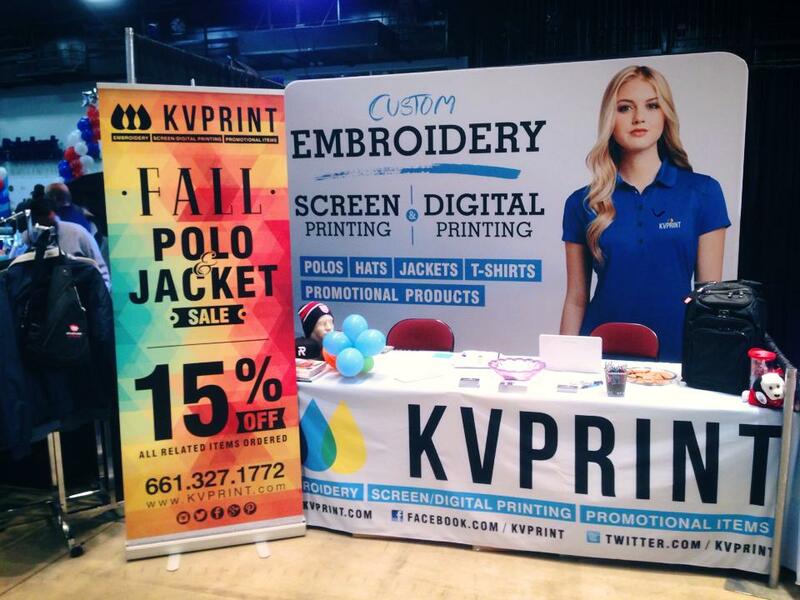 Our large format full color capabilities take artwork seam to seam. Heavy duty hex shape 40 mm. aluminum hardware gives the tent strength in outdoor installations. Telescopic legs allow you to adjust the height, and the interior lattice expands the tent interior with the crank of a handle. Each leg has a foot plate ready to be staked to the ground. (Ropes, stakes, and standard carrying bag are included with hardware). Really want to show your business off? 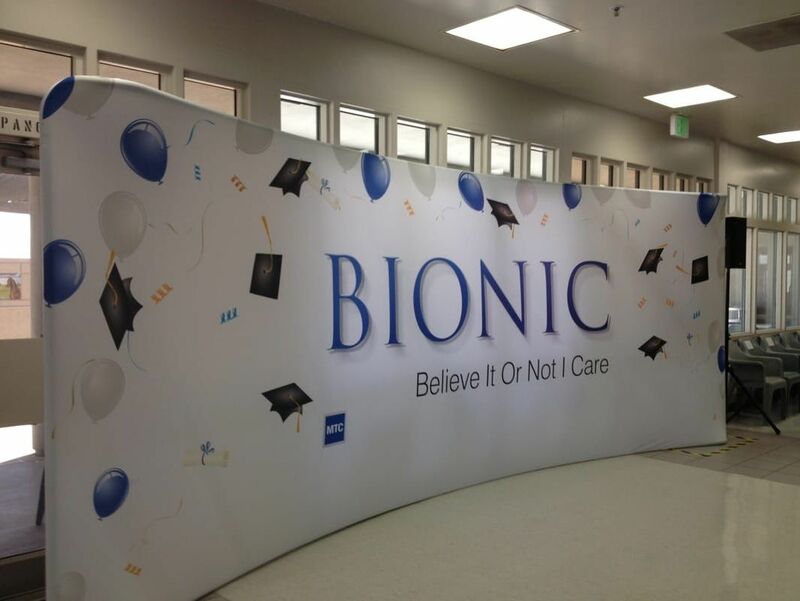 Add a full wall or a half wall to your canapy and really bring your a game to the event! 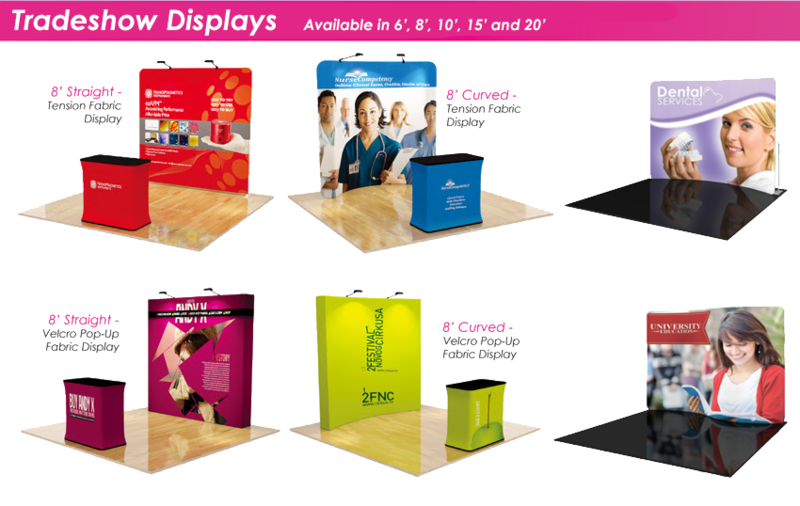 ​Put simply, wall displays provide walls for your trade show display space. 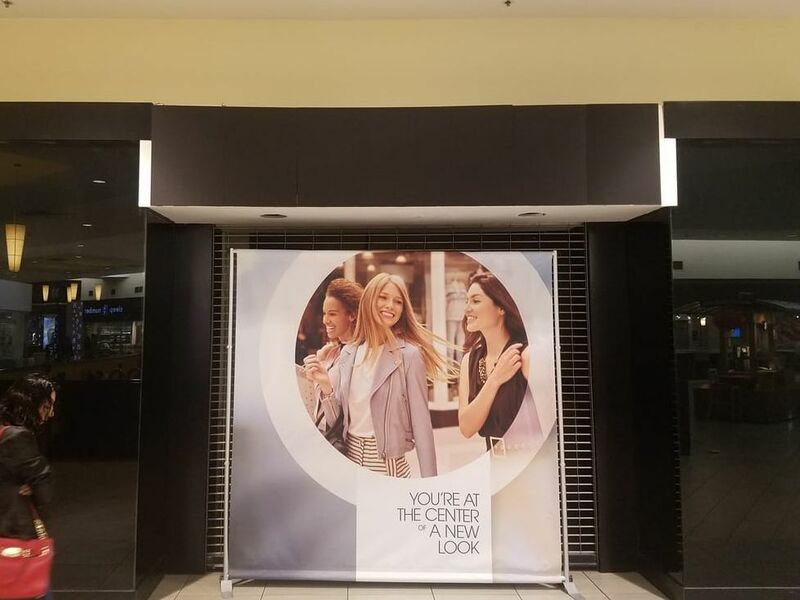 They are there not just for background but also to look great, to get your message across, and to set your space apart from your neighbors. They are simple, fuss-free, and in many cases, considerably cheaper than some more technical exhibit options. A good wall display is in many ways the starting point for a good trade show booth, so although simple, they are of paramount importance. 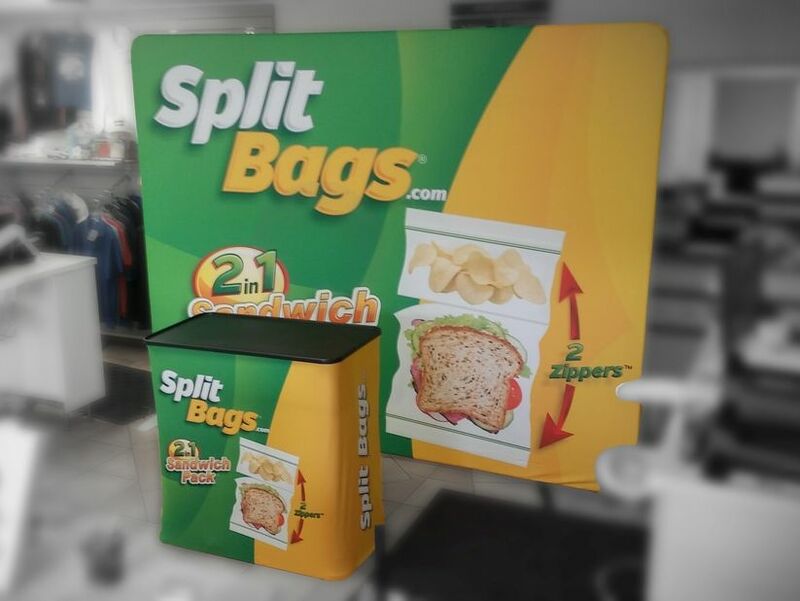 If you start with a 10 x 10 wall display, a bigger backwall can usually be built by adding a second back wall unit, and we also offer other modular extras, like trade show tables and cabinets, or monitor kiosks. 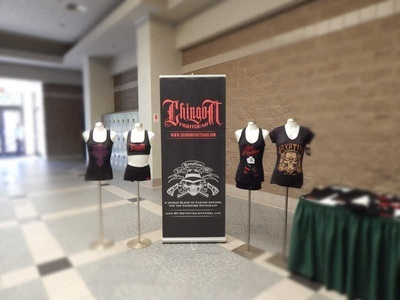 You can also add flooring, and rest assured that Everything Displays backwall displays category meet standard inline booth tradeshow regulations, with heights of under 8’ tall and depths which offer visibility to neighboring booths.